Happy Friday tots and friendlies, it’s time for yet another installment of the TNW Microsoft roundup, content that is assuredly the highlight of your reading week. You are welcome. Now, as we always ask, do ensure that you are following our Microsoft channel on both Twitter and Facebook – we do want to keep you informed – nowlet’s digg into the news. Given that its release date is rapidly approaching, Windows 8 has been very much in the news. However, instead of just sending you to the archives for a perusal of all things next for the Windows brand, TNW has you covered. 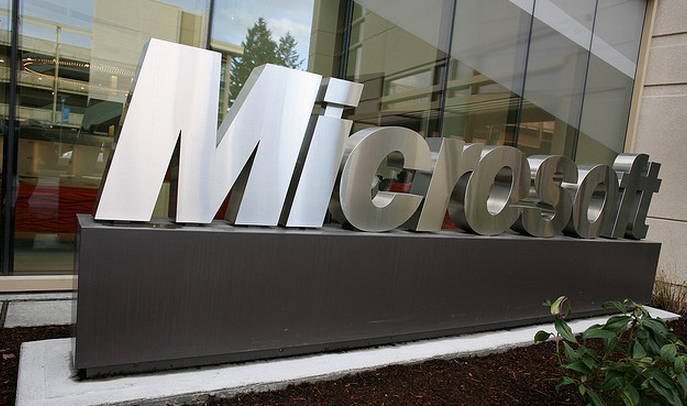 Xbox Music is coming to Windows 8, and it could cause a legal headache for Microsoft. That said, Microsoft could be buying Rdio, perhaps as a tool to flesh out its new service. Free streaming is coming to Windows; Spotify, eat your heart out. That said, the company announced today that it will be updating its native apps on a rolling basis up until launch. The Bing app will receive the first update. Oh, and because we love you, TNW has its own Windows 8 app. Download it here and use it every day. Finally: Mozilla has a very buggy, early release of its web browser out for Windows 8. Hello and smell the roses Windows Phone fans: your platform isn’t doing all that well. In fact, Windows Phone remains stuck middling about, like a small pig with one hoof locked in the muck. A damn shame, really. However, market share jokes aside, there is some neat stuff bubbling over at the Windows Phone building(s). First up: AT&T, a key carrier in the United States, will sell both the Lumia 920 and 820. This is a key move, as those are two of the brightest lights in the Windows Phone battery; if they were looking for a place to sell, AT&T is it. In other news, the old-as-hat rumor that Microsoft is building a phone came back to life this week. Nokia tamped it down, but the narrative managed to find wings. Want to hit up a Surface event, the day before the devices are set to go on sale? TNW has a deal just for you. Send us $1 million in unmarked bills, and we’ll give you our invite to the October 25th Surface event in New York City. That event is now under three weeks away. Details about the Surface remain hidden – such as its price, among other key details. As we learn more, so shall you. Bing! What a week for the search platform. Here’s the thing that matters: Bing for iPhone has found new legs, following the Maps mess in iOS 6. While Google is busy boosting its web platform, Bing for iOS is happily sitting in the App Store racking up downloads. Not bad for Bing, yeah? As a very last note, in its ‘blind taste test,’ Bing is declaring victory, at a margin of two to one, over Google. More on that here. That’s more than enough for today. Knock off early and make a proper margarita. If you just reached for crushed ice of any form, you are fired.